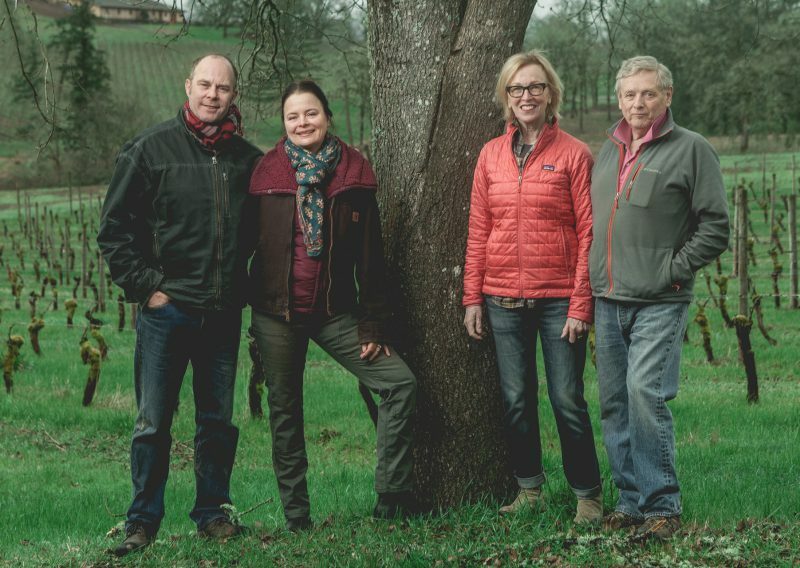 Native Oregonians Carol and Peter Adams planted their vineyard on the south side of Chehalem Mountains in 1976, one of the first in the region. 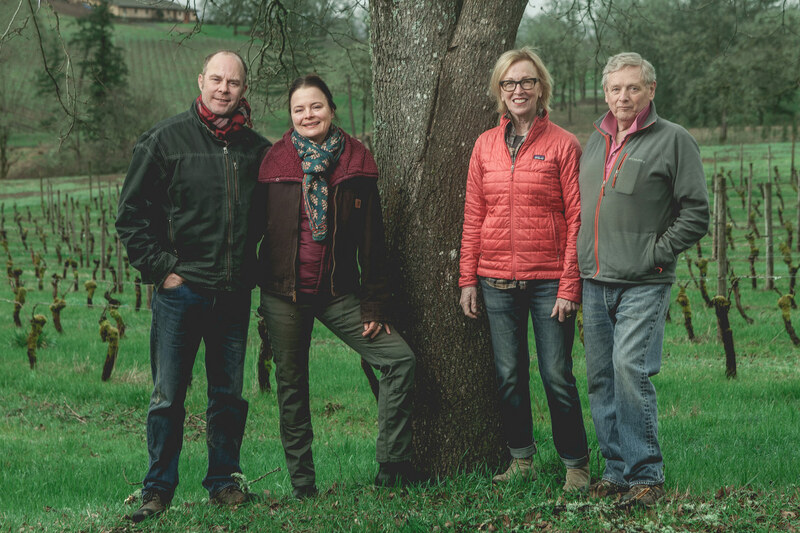 Five years later, in 1981, the couple picked the grapes for their first bottling of pinot noir and chardonnay. The same year, production of the wine moved to a small building in the industrial area of northwest Portland. Eventually sauvignon blanc was added to the repertoire, with grapes purchased from the Croft vineyard in Dallas, Oregon. In 1995, the winery sold to Paul Hart and Jan Jacobson of Rex Hill. For the next ten years, the Adams leased their vineyard to Rex Hill, at which time they began working with vineyard manager Stirling Fox. The year 2008, marked their return to wine production with a new name and a new label, Trout Lily Ranch. The name originated from the flowers that grow wild at the vineyard. Carol and Peter hired Kelly Kidneigh, friend and neighbor, as their wine maker. Wine production currently takes places at Keeler Estates in Amity, Oregon. Carol is an artist; her creative career includes cooking at the Genoa, writing a popular food column for a Portland newspaper, and making wine at their Portland winery. She enjoys working in her studio and caring for her grandchildren. Peter is in the construction business and oversees the vineyard, in his free time he pursues his love of flying. Kelly Kidneigh earned her degree in fermentation science from OSU. In 1998 she began her career working for various wineries in the Willamette Valley and Burgundy. She is the sole proprietor of KK Wine Co and works closely with her husband, and vineyard manager Stirling Fox. Kelly uses a Burgundian approach to winemaking; she prefers small lot fermentation with cool temperatures and native yeast. Although she keeps a keen watch over the fermenting fruit, she does not tamper with the process unless absolutely necessary. This minimalist approach coupled with healthy fruit leads to a complex and unique wine.